The Spanish NGO Proactiva Open Arms has filed a complaint, including of involuntary manslaughter, against a cargo ship and the captain of the Libyan coast guard, for failing to help three migrants who were adrift in the Mediterranean Sea. The Spanish charity Proactiva Open Arms that rescues migrants in the Mediterranean has filed a complaint against the captain of a Panama-flagged cargo ship and the Libyan coastguard for abandoning migrants adrift on a destroyed dinghy in the sea Tuesday last week. The rescue vessel Open Arms docked in the Spanish port of Palma in Mallorca on Saturday. Onboard, it was carrying the dead bodies of a woman and a four-year-old boy as well as a woman whom the organization had found alive 80 nautical miles (130 km) off the Libyan coast. "We have filed a complaint against the captain of the (merchant ship) Triades for failing to help and for involuntary manslaughter and we'll also do it against the captain of the Libyan patrol," said the Open Arms captain and founder of the NGO Oscar Camps at a news conference, Reuters reports. Libya's coast guard had disputed the account on Tuesday, however, and offered no explanation for how the three migrants came to be stranded on the remains of a dinghy. Proactiva Open Arms claimed the ship's crew had seen the migrant dingy but had failed to provide help. The crew of the Triades could not be contacted for comment, Reuters reports. The ship is currently moored in the Libyan port of Misrata. Marc Gasol, the Spanish NBA player, has been volunteering on board of the Open Arms. 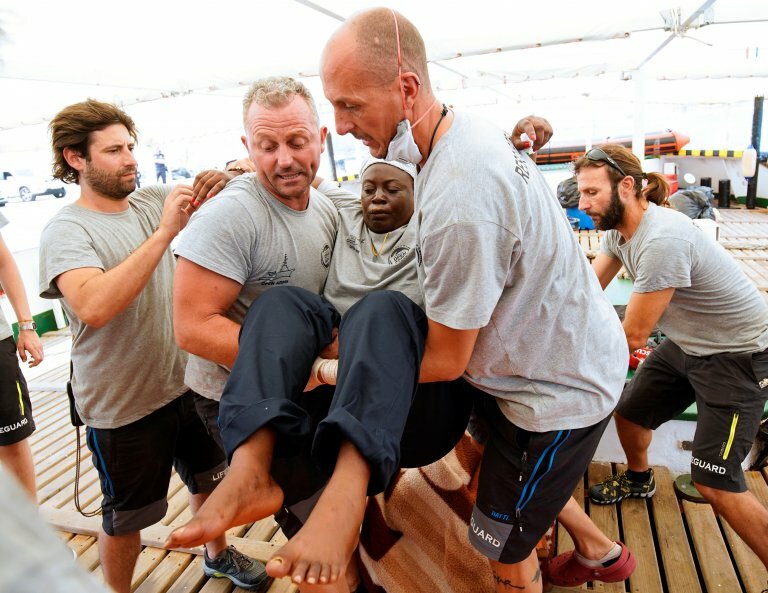 He actively participated in rescue operations, including that of bringing the Cameroonian woman Josepha on board. She was left on a piece of wood for 48 hours in the Mediterranean Sea. The ports in Italy are the closest European landing point for ships coming from Libya, but charity boats have been locked out after Italy's new conservative government cracked down on illegal migration from northern Africa. The Spanish Open Arms NGO operates in the central Mediterranean, which is one of the deadliest areas in the Mediterranean.